Pre-Note: I was just sitting at my desk an hour or so ago realizing I should do an article on Next-Gen consoles and I thought "Oh wait, why don't I do a back-and-forth conversation with someone." So I decided to do one with my good friend that told me to make him go by BJ Williams(giggity). We talk about some stuff. Then more stuff. Not the stuff in Teddy Bear stuff. Like, we talk about stuff as in stuff about Next-Gen Console stuff; WiiU, PS4, Xbox One, Steam Machine. Yeah, that stuff. BJ Williams: That's outdated, man. Speaking of being sad, PS4 is coming out at midnight and I am so sad I don't have one. So, when "Next-Gen" technically started with WiiU last year it made me feel really iffy. I started really thinking "What if there is no really major step up in graphical quality and ability from PS360 to Ps4/NextBox?" Now, it has really been pretty disproven in terms of raw power that there is a difference, but we haven't seen much of one yet. Just a few extra shadows and particles. Heck, Xbox one has t play Call of Duty: Ghosts at 720P and upscale to 1080P. So, do you think there will be a really HUGE leap with graphics like from Gamecube and PS2 to the PS3 and Xbox 360? BJ Williams: Honestly, I don't see it happening. BJ Williams: Well, just think about it. The more technology we have, the less advances we seem to make. Me: Yeah. I've seen arguments like that be made by many people before. We won't see a leap like that probably ever again. I personally think these consoles will be WAY outdated in about 4 years or so. For example, Killzone: Shadow Fall doesn't look much better than Killzone 3 on the PS3. I'm sure it'll be the same case with the next Uncharted vs. Uncharted 3. BJ Williams: I know what you mean. 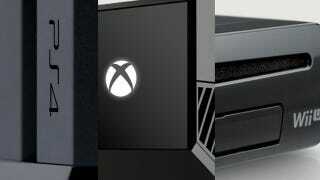 Someone I follow on Twitter was posting a few comparisons between XBox 360 and XBone. You know the differences I saw? BJ Williams: Pretty much this: shadows look darker and the shapes look...shape-ier. Nothing that really mattered, in the end. Me: Yeah. I was looking at a comparison of Flower on the PS3 vs the PS4 and I saw no differences at all in the textures or anything. It turns out all it really improved was a boost to 60FPS and 1080P. BJ Williams: I mean, those things are pretty nice. But what's the most important part of games? The ENTERTAINMENT VALUE! What new things are being integrated? Me: I agree. All we have is a few extra rumbles on the controller triggers for the Xbox One and a useless touch pad on the PS4 controller. Wii U is the only "Next-Gen" console that has brought along something to change up gameplay. Me: I feel that there was a chance for PS4 and the Xbox One to get something new in there and they missed the boat. Why not include a VR headset instead of a silly camera to yell "XBOX TURN ON" like a big dummy. Something that's more... immersive. Me: Well, there always will be hype. It IS a new console. I mostly play PC games and I still have hype for a new Console. My mind goes "Oh, it's shiny. Friends are getting it. Must get it now. blargh"
Idk. I'm going to probably pick up a PS4 later on when it has a library behind it. I'm just going to stick to PC gaming for now. All hail GabeN. Me: But I'm not going to be too excited about Next-Gen consoles because they cost quite a bit and console gaming is way to expensive as a whole, and there's no really demanding reason to go out and buy a new console. They're really technically PC's focused solely on gaming. There's no real way to group the new consoles coming out this month away from PC's since they have no distinct architecture to them. Just build a PC for the same price and get better looking games at better framerates and resolution. BJ Williams: And as the years pass, upgrade your computer slowly and cheaply. By the time the next-nextgen comes out you're far ahead. Me: Yeah. I have a $300 [graphics]card that can last me throughout this whole console generation and possibly well into the next. But, there's one upside to these new consoles being a lot like PC's I forgot to mention. And that would be less crappy console ports to PC. Thank the lord for that one. And also it's a load easier to code for with the x86 architecture. Anymore, people are developing for PC first. Me: Idk about that one. It seems to be more half-and-half now that PC has been hiting an upsurge due to Steam, Amazon, GoG, and GMG with their amzetastic deals on PC games. BJ Williams: But, all the indie games. 300 games have been Greenlit on Steam since August. That's an amazing amount. Me: Yeah. I would like to see things like Greenlight on PSN, XBL, and Nintendo EShop, or at least be more friendly towards Indies(That which seems to be happening, especially on the Nintendo Eshop). BJ Williams: In time, it shall come. Have faith. Me: If you wait, they will come. But I think the true next-gen console will be the Steam Machine. "BOW DOWN TO ME, PUNY MORTALS!" BJ Williams: You know, it's kinda hard not to be PC vs. Console. BJ Williams: Even more nextgen as before. PC will always be one step ahead. What I love about the Steam Machine is that you buy a really low end one and then you can get a different graphics card and just pop it in and you're all good.THe games will be way higher resolution and at a much better framerate vs PS4/Xbox One for the same price overall. Me: Seriously, with the Steam Machine you get much more for a lower price. it also does everything that Sony and Microsoft want to do, but they are too stingy with money to do so. BJ Williams: Gaben started out small. He still sympathizes with the masses. He understands his people. Me: Valve will actually put much more reasonable hardware for a much more reasonable price. Valve wants to take out that suppressing lock with consoles that have always been there. Valve is doing what the Ouya wanted to do(and failed at doing so). They want there to be a console out there that you can actually tinker with. Something portable, yet very PC like. Valve is going with the smart way to go, the wants and needs of the people. We shouldn't get our hopes up BUT IT'S SO HARD. Me: Forreal yo. My hopes are getting as high as Snoop Lion over here. But, it is Valve we're talking about. When was the last time they truly were disappointing? BJ Williams: Don't make me answer that. And I swear if you say no Diretide this year I will punch a puppy that is cuddling with a kitty. BJ Williams: But Diretide came out today it's aight. But I should get this wrapped up. My final thoughts are that Valve is doing pretty much everything right and Sony and Microsoft are doing "meh". "BECAUSE EEEEEEYYYEEEEEEAAAAHHHH WILL ALWAYS LOVE YOOOUUUUUUUHHHHHH!"